1. In the US today, about 2.7 million women have had a history of breast cancer. That’s about the population of the city of Chicago, the third most populous city in the US. 2. Over 12% of women born today will be diagnosed with breast cancer during their lifetime. That’s about 1 in 8. 3. The incidence rate (new cases) is 124.3 per 100,000 women per year. 4. The median age at diagnosis is 61 and the median age at death is 68. 5. If breast cancer is caught while it is still local; before it spreads, the 5 year relative survival is 98.6%. Once it has metastasized, the 5 year relative survival drops to 23.8%. 6. 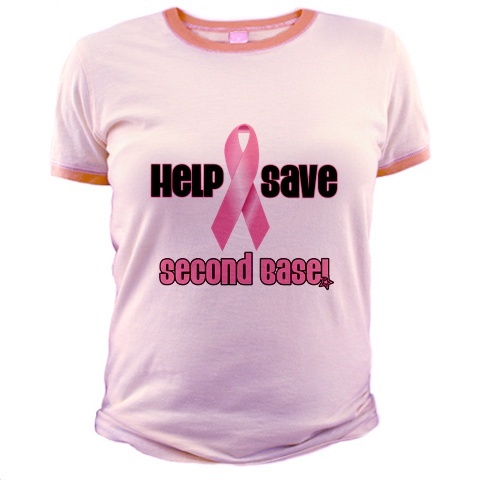 Breast cancer is the second leading cause of cancer death in women, behind lung cancer. It is in 4 and 5 that the importance of screening is highlighted. We need a way to diagnose cancer early on, while it is still easier to treat and offers a very positive prognosis. A. Breast cancer screening is conducted on someone without signs or symptoms of disease. It typically identifies risk categories and gives a healthcare professional additional information needed to guide further testing, but it doesn’t stand on its own as a result. This might include a medical history, a BRCA/genetic screening panel, breast exam, X-ray mammography or other imaging technology. B. Breast cancer diagnostic tests are conducted when a risk is identified. These are usually the higher risk tests, but they can more definitively identify the important information about the disease. In the case of breast cancer, this may involve biopsy, diagnostic imaging or other tests. 1. 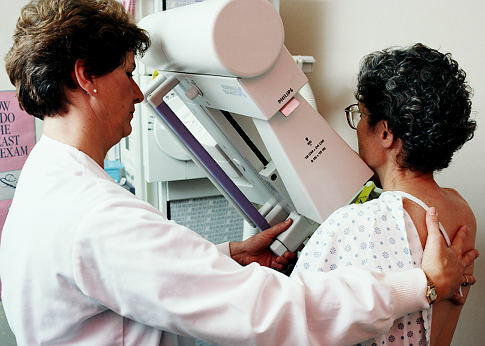 Mammograms CAN increase cancer risk, but they prevent far more cancer than they cause. A woman is exposed to about 4 milliGrays (mGys) in a mammogram screening. For comparison, an abdominal CT scan might expose you to about 8 mGys. It’s not inconsequential. It can cause DNA damage that can lead to cancer, but so can flying in an airplane or living in an area with abundant radon gas. We need a better way of evaluating the actual risk than simply: “Radiation bad, no-radiation good”. This is precisely what studies have attempted to evaluate. 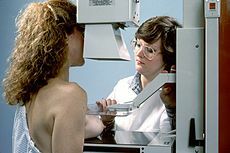 If we limit the biennual mammogram risk/benefit calculation to women aged 40-49, a 1997 study found that for every life lost as the result of screening, about 50 were saved (J Natl Cancer Inst Monogr. 1997;(22):119-24.). To put it another way, for every YEAR of life lost, 121 years were saved. Given those odds, you are much, much more likely to be saved by screening than harmed. However, you do have a right to know that the procedure does come with risks as well. In the women aged 50-69 years category, the ratios of lives lost to lives saved may be much, much higher. One study reports a ratio of 1 life lost for every 242 saved (J Med Screen. 1998;5(2):81-7.). 2. Mammograms have a relatively high rate of false positives. False positives, just to clarify, are when a test falsely indicates cancer exists where none actually does. “Abnormal” mammography results only indicate cancer 1 out of every 10 diagnoses. For some women, that means a lot of psychological distress and “needless” biopsies on tissue that later turns out to be benign. 3. Mammograms have a low rate of false negatives, but they still won’t pick up all breast cancer. The false negative is when the mammogram is read as “normal” missing the presence of breast cancer. A mammogram fails to detect the presence of cancer in between 10 and 25% of cases where breast cancer can be confirmed later. The large range is because of the difference in various studies on the topic. Some studies suggest that mammograms are most effective when combined with a clinical breast exam. 4. Although there are alternatives to X-ray mammograms, they aren’t going to replace mammograms anytime soon. You may have heard about MRI breast cancer screening, or thermography (imaging the heat of your body), or Breast Pap smears, or some other similar tests. If you haven’t, here’s a plain language “About.com” site that talks more about them. The trouble is that none of them, alone, are as suitable for the primary mission of low-cost breast screening in small communities. MRI’s, for example, give very good high definition imaging of breast tissue without the ionizing radiation exposure of an X-ray. Unfortunately, they cost about 10 times as much, require the use of injected contrast agent, take an hour or more per scan, and are only available in certain geographies. There are also certain types of breast cancer that an MRI has trouble identifying. In many ways, the MRI is just TOO sensitive, and it requires a radiologist’s expertise to determine whether density differences are normal or abnormal. The one other screening technique that should be included here is clinical breast exams, where a trained physician or nurse conducts a physical exam of the breast, feeling for any abnormalities in shape or texture. It’s been shown to be very effective when done properly to detect large tissue abnormalities, but not very small growths. It’s lower risk, can be low cost and easy to administer, and provides some additional value when used in conjunction with other techniques. So all these techniques are generally quite good at improving the performance of overall breast cancer screening, but none are poised to replace mammography as a primary method of screening. Why do I need to talk about this? Because it’s very popular right now to exploit these facts in a vacuum; to twist them all to mean something much more profound: that mammograms for breast cancer screening are a bad decision for all women in all cases. This is simply a LIE. The only controversies are about how often a mammogram should be performed and at what age it should become a regular practice. As we saw, the benefit to risk ration is overwhelmingly positive, but it increases even more with age. If you are a woman between 40 and 49, you really should ask your doctor if an annual or biennual (every two years) mammogram is a good idea. At 50 or older, the answer is almost certainly going to be yes because the risk of NOT being screened is so high. Certain women, those with inherited BRCA genetic mutations, and those who are young (<30) really need to discuss the risks with their physician or a specialist, as the risk of exposure to radiation might outweigh the potential benefit. NEVER TAKE HEALTH ADVICE FROM THE INTERNET. It’s intentionally self-inclusive. If you want accurate health information, please, please, please consult a trusted healthcare provider. The Internet is a free-for-all, and the content is as likely to be wrong as right. Make sure you put your life in the hands of someone with experience and training and certification in medicine, not in the hands of someone who believes the Reptiloids are working in the service of the Illuminati to create a New World Order for the Alien Greys (/if that’s what your physician believes, get a new physician/). 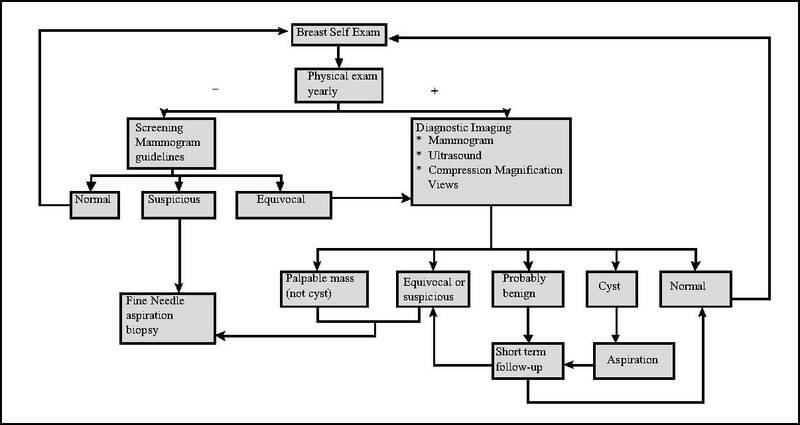 A "typical course" flow chart for screening and diagnosis. Note that mammograms and clinical exams are really just an entry point to a more involved process. This year’s AACR annual meeting focused a great deal on the vindication of a very old idea: “seed and soil” model of metastasis. The idea that little seed cells from a tumor circulate through the body looking for fertile ground to implant into and grow a metastatic tumor. It’s only very recently that the technology has existed to provide a mechanism to detect these circulating seed cells. This knowledge has proven to be very important in predicting which patients will respond to different therapies. This video is taken from the only FDA approved technology to detect these circulating tumor cells (CTCs). For any of you interested in what I do for a living, this is the clinical outcome of some technologies that I worked on at the “research use only” non-clinical level. Being able to tag cells with magnetic particles or beads and separate or enrich from that binding. It’s five minutes long and includes a commercial in the middle, but I thought it was a cool “infographic” format. Very CSI! This is not about refuting the entire Libertarian philosophy, it’s merely about the flat assertion that governments should have no right to regulate what we do at home, in public or in our places of business. I disagree. I think that so long as the choices we make affect those around us, the group should have access to some mechanism to to encourage or discourage behaviors that harm the group. We can decide, as a community, what the consequences are for these actions. That might involve strict guidelines, prohibitions, or just education and awareness. The point of this video isn’t which approach is most effective, but merely that the group should be able to demand social justice when one person’s dangerous action endanger the rest of the community. The 2012 AACR Annual Meeting starts on Friday, March 31st in Chicago, IL. Guess who’s been “elected” to represent my company at a “mini-symposia”? I have been scrambling to prepare materials, slides, and everything has to go past our marketing and legal teams. At least two conference calls a day for the last five days. My company has OCD about logos… you can’t invert the colors, you can’t size them larger than such and such, etc. Sorry for the lapse in video and blog entries, but the concept of “free time” is elusive of late. I’ll try to bring back some photos or stories. I think the big idea this year is going to be circulating tumor cells, and if I can find the time, I’ll put together an entry on them. The other hot topic, and one I’ll probably work into my own 10 minute session, will be long non-coding RNAs (lncRNAs). This is the video from last year’s annual meeting… I haven’t seen one from this year. Wow! Just wow! 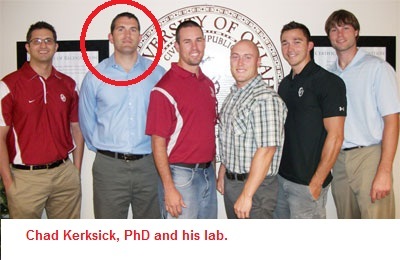 I’ve been reading the background on the story from last November’s Huffington Post article on University of Oklahoma Assistant Professor Chad Kerksick. As I mentioned in the previous post, I did some work with his lab a few years ago, and it was my first encounter with muscle punches or muscle cores in exercise physiology. They were a nice group, lots of laughter and smiles and good questions and everybody seemed to be friends with everyone else. As I page through the Institutional Review Board investigative findings, it paints a very different picture. One of Dr. Kerksick’s grad students/study managers pulled a “whistle-blower” on his research practices with regards to the way he enrolled volunteers, performed biopsies of muscle and fat tissue, subsequently handled the material and even how he documented the results. I might have a slightly different perspective on this than the average person. I’ve mentioned before that what most people would find shocking in a research lab is how young everyone is. Most research in academic labs is done by 20-26 year olds (look at the picture above!) and rarely will you find anyone over 35 in the lab proper. This is different from medical centers and institutes as well as pharma and biotechs where the research staff tend to be older and better trained. Imagine a company run entirely by one CEO and an army of interns, and you have an idea of what the academic research lab is like. The “CEO” or principal investigator, in this case, is an exercise physiologist, and if my brief exposure is any guide, a good one. He studies exercise, body-building and athletes. He fulfills the image of the jock-scientist, and his group are mostly weight-lifters, student athletes and future sports medicine folks… not your classic molecular biology or medical group. They paid volunteers to exercise on a treadmill and then collected a sample of muscle tissue from the thigh using a hollow needle, larger than a syringe needle, or alternately, a sample of fat/adipose tissue was taken from the abdomen. The volunteers received a lidocaine shot to prevent local pain, but the tissue is certainly traumatized, resulting in bruising and some light bleeding. I’m sure it’s a very low-risk procedure, but still makes me a bit queasy to imagine what is essentially minor invasive surgery being done in a gym area on a sweaty student by another student. My own misgivings aside, this is not unlike what is going on at medical schools and med tech programs around the world. It’s probably about as risky as having your ears pierced or a tattoo added. 1. Chad Kerksick didn’t adhere to the highest standards of human research in terms of record keeping and minimizing human risk or suffering. He was sloppy and irresponsible in supervising his grad students, probably as the result of all that laughter and all those smiles. People were probably TOO chummy to really bring the axe down on misconduct. “Hindsight is 20/20”. 2. The kind of things the Institutional Review Board found were typical of many labs at primarily undergraduate institutions. It’s like any other audit; if you look hard enough, you’ll find something. Some criticisms included leaving lidocaine in an unlocked drawer in a locked room, or submitting his own muscle tissue to a study (which I didn’t know wasn’t allowed either… I’ve done it myself). 3. The story in the local media and the HuffPo doesn’t really convey the magnitude of infractions committed. Emails with jokes like “bring me Dibs head in a box, or at least his thumbs” are represented as serious death threats. Muscle cores sound very scary, but are routine in this field of study and have been performed hundreds of times without adverse event. The resolution to the story: Chad received a 1 year leave of absence, agreed to leave OU during that time, and received 18 months salary as part of an arbitration. His existing research has been brought to a halt by the IRB. One note: the most serious allegations were data tampering, which I don’t think was ever substantiated, and forcing students to submit to fat biopsies, which Kerksick insists was part of the training. I find his explanation makes sense and I’m inclined to give him the benefit of the doubt. Medical techs and ER techs often work on each other or themselves as practice, and it sounds like that’s what happened here: the procedures were part of education, not research. I also can’t speak to his private funding sources. Read the IRB decision here. Update: There are/were TWO Abbie Smith’s at OU (which would be a good name for a band, BTW). I met the Exercise Physiologist Abbie Smith in 2007, and I follow the blog of the brunette Abbie Smith, ERV. That explains a LOT of things that were bugging me, like hair color and research fields. Perhaps I should just say “I heart ERV”, because she (brunette Abbie) is awesome. I met Abbie Smith at University of Oklahoma in Norman, OK back in 2007. She was a young grad student in the Kerksick lab* and I was there to help them kick-start a molecular biology/real-time PCR program for their work in exercise physiology. She impressed me then, and she impresses me now. The fact that she’s taken up virology, science advocacy, and blogging is icing on the cake. Her blog is here, called ERV. I highly recommend you check it out. She has a quirky, dry humor that I love and her passion for her topic shows through her writing. You have to love the energy, the enthusiasm, and the down-to-earth discussion of why creationism/evolution discussion matters. *As an aside, Chad Kerksick was recently the subject of a news report by the Huffington Post on his use of grad students as medical guinea pigs. As I recall, many of the grad students submitted “muscle cores”, which are small tubular chunks of muscle tissue removed from the thigh using a device very similar to a large-bore syringe needle. I’m sure it’s quite unpleasant and leaves some bruising, but I’m not sure I understand how that was a violation of an ethical code (UPDATE: more in separate post!). Researchers are often used for control samples. For example, I submitted 40 mL of blood almost every week for months as a control sample in immune profiling. The con was it made me a little woozy for a while and I hate needles. The plus was a small donor fee ($40) and the fact that I now know more about my immune profile (I walk around with a subclinical monocytosis), I could detect when I was about to get sick, and it helped out the progress of our study. I don’t know enough about Chad’s situation to condemn or condone, but he was a very nice guy in my interactions with him.